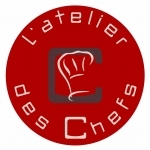 L'Atelier des Chefs cooking school brings French passion for food to the heart of the West End, where a range of international dishes are taught within an informal, fun environment. Attendees will be spoilt for choice, as classes vary from 30 minutes up to 4 hours Monday through to Saturday, with classes starting at only £15. Everything made during their classes can be enjoyed in a dining room area, where carefully-chosen house wines can be purchased. For those who are after the latest must-have gadget to home cooks looking to upgrade their kitchen essentials, come visit their extensive retail shop.